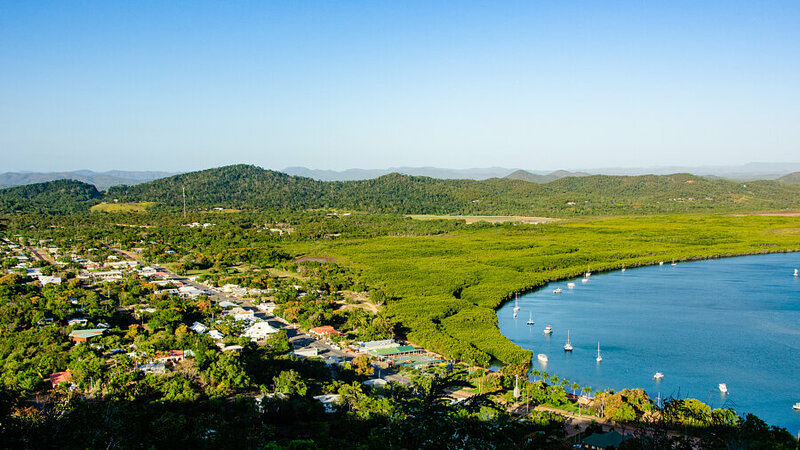 Cooktown truly is a key location in the founding of modern Australia. A story that began in the distant past, followed by 60,000 years of unwritten chapters before the story was taken up by the wider world and modern Australia began as a British colony. Every Australian should visit Cooktown at some stage in life. What we know of as Australia today so nearly did not happen. It could have ended in the sinking of a ship half a world away from home or it could have ended in a massacre or starvation. 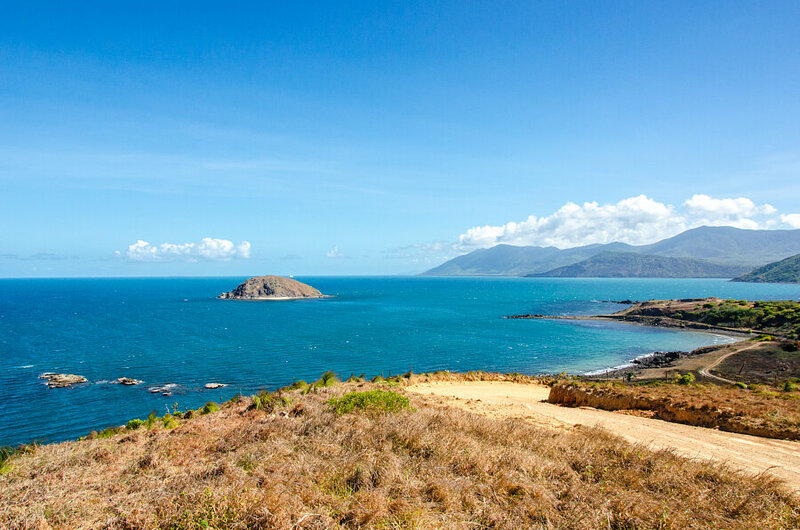 This is where Captain Cook and his crippled HM Bark Endeavour found refuge, were able to repair the ship and sail away to a hero's welcome in England a year later. He "took possession" of the whole eastern side of the continent of Australia and all that happened afterwards was because he managed to find a safe harbour. His party was also able to establish friendly enough relations with the natives to do the repairs unhindered and for Joseph Banks, Daniel Solander and Sydney Parkinson to add enormously to their fauna and flora collection. They were 49 days careened on the south bank of the Endeavour River. 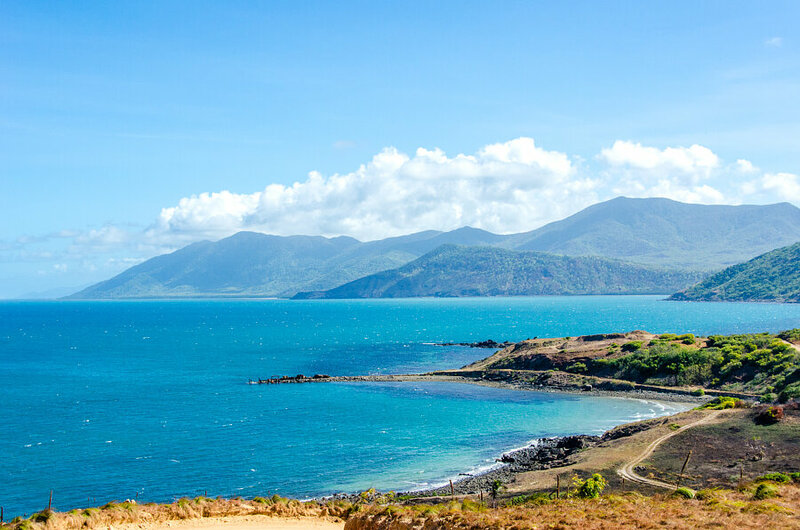 The best way to visit Cooktown is to drive the inland road (about 4 hours or 324km) and to return along the coast road through Bloomfield, Cape Tribulation and the Daintree River. 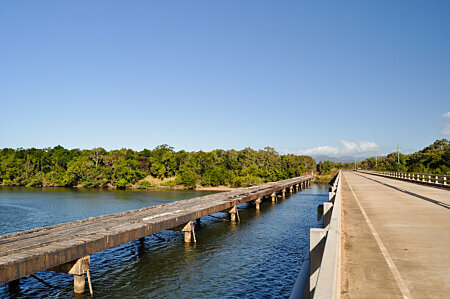 You can drive the Captain Cook Highway, turning off before Mossman, to Mt Molloy or go through Kuranda and Mareeba. 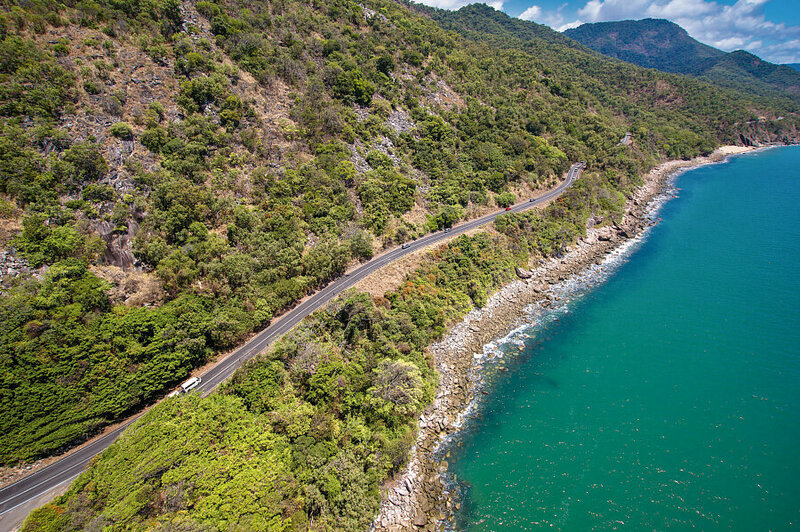 Most people will take the coastal Cook Highway route. It is possible to do the whole trip in a day but an overnight stay of at least 1 night is recommended. 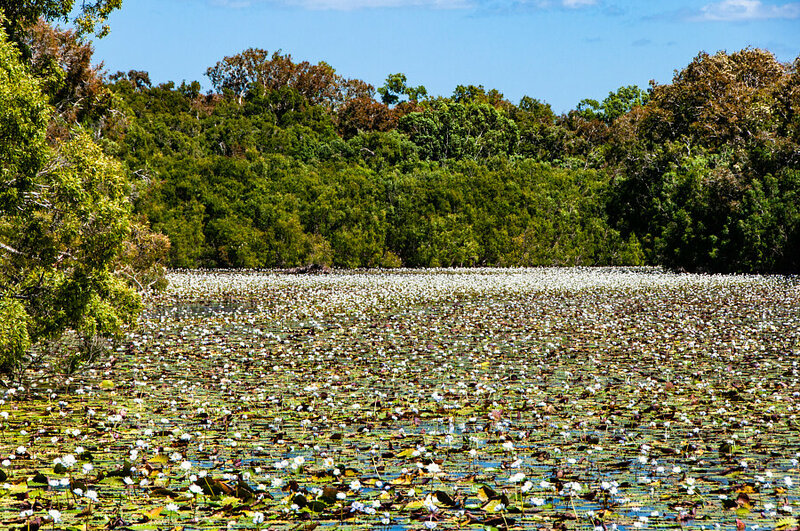 This is a fantastic and diverse drive which takes you from the beautiful coast hugging highway, through the canefields around Pt Douglas and then up through the rainforest of the Rex range to the lovely tableland around Julatten. 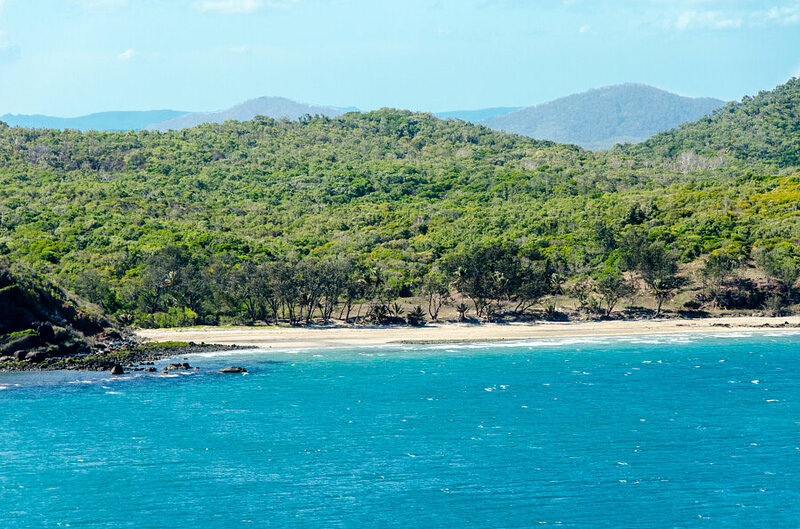 From Mt Molloy you pass into the rain shadow of the coast and the rugged beauty of the drier interior before returning to the coast at Cooktown. Refreshment stops along the way: Mt Molloy, Mt Carbine (30km on), Palmer River (83km on), Lakeland Downs (31km on) and Cooktown (80km from Lakeland). The inland road (Mulligan Highway) going north to Cape York starts at Mt Molloy (100km from Cairns) and runs behind the rainforested Mt Lewis National Park. It is in the rain shadow of the mountains and the landscape is much drier. Even so, a lot of rain runs west off these mountains and is gathered by the Mitchel River which empties into the Gulf of Carpenatria. You cross the Mary River at Mary Farms and then the Mcleod River after Mt Carbine. 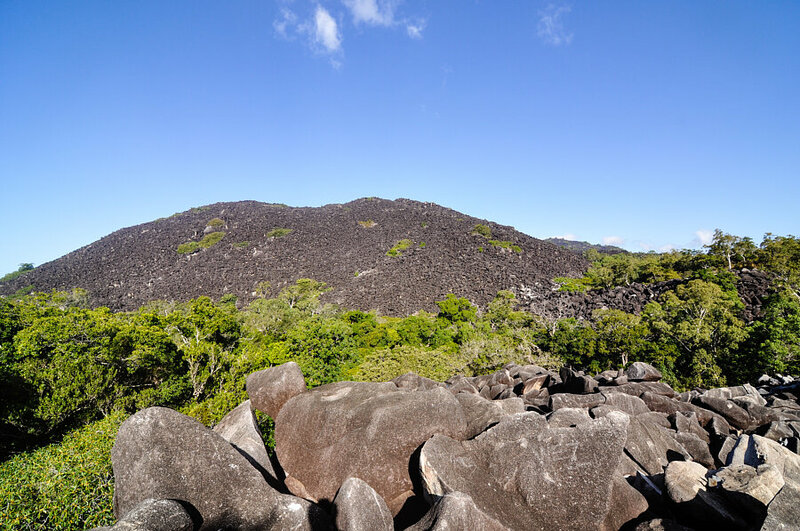 The McLeod comes off the Windsor Tableland which is also the source of the Daintree River. The road from Mt Carbine crosses the McLeod River and then begins the climb up the Desailly Rnage. Stop at Bob's Lookout. 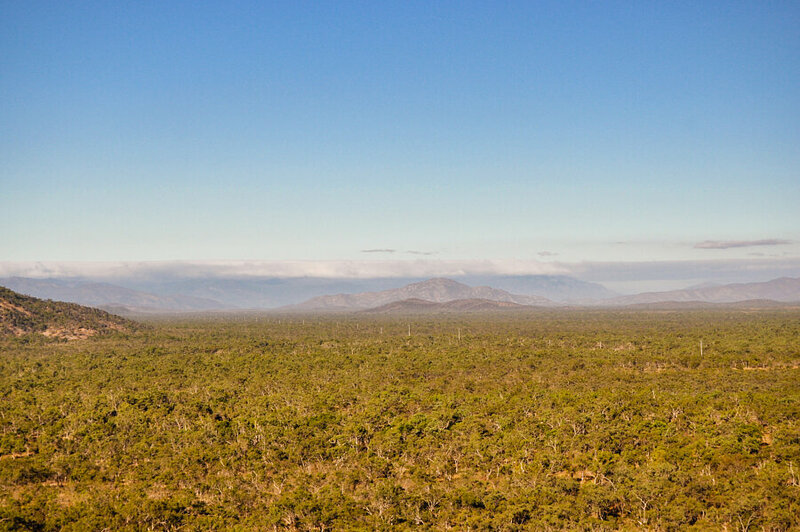 Mt Desailley and Mt Elephant are across the valley and a wide panorama of distant tablelands to the south. 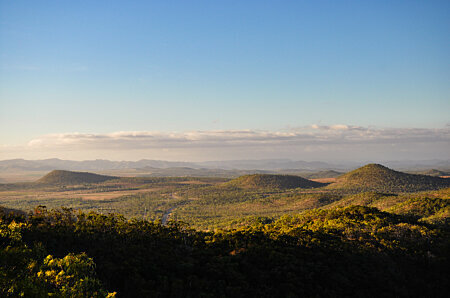 From Bob's Lookout you have a 35 minute run (55km) to The Palmer River roadhouse with an impressive 800m tall range of hills on the right obscuring the even higher 1200m Windsor Tableland behind. 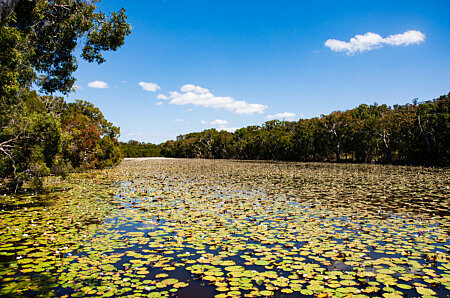 The Windsor Tableland is the source of the Daintree River and the McLeod River which is a major feeder for the Mitchell River. 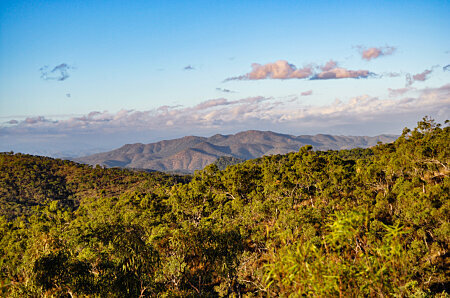 Another 20 minutes and you reach the Byerley Range escarpment that drops down down to the farmland around Lakeland Downs. Stop for the brilliant view from the James Earl Lookout. Look out for Red-tailed Black Cockatoos around Lakeland. 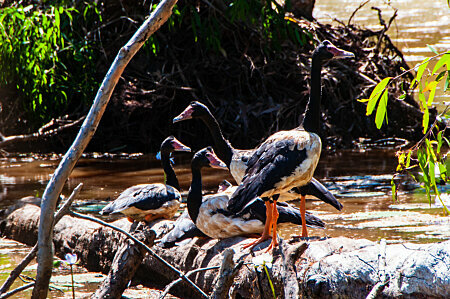 At times there are hundreds of them milling about and squawking raucously. They are entirely black except for the 2 brilliant red panels in their tail. The run from Lakeland to The Black Mountain takes less than an hour. You are moving back into wetter country now and the woodland trees get bigger. You cross the Little Annan just before Black Mountain. The downstream side on the left is a steep gorge and worth a stop to explore. You can't miss the Black Mountain. 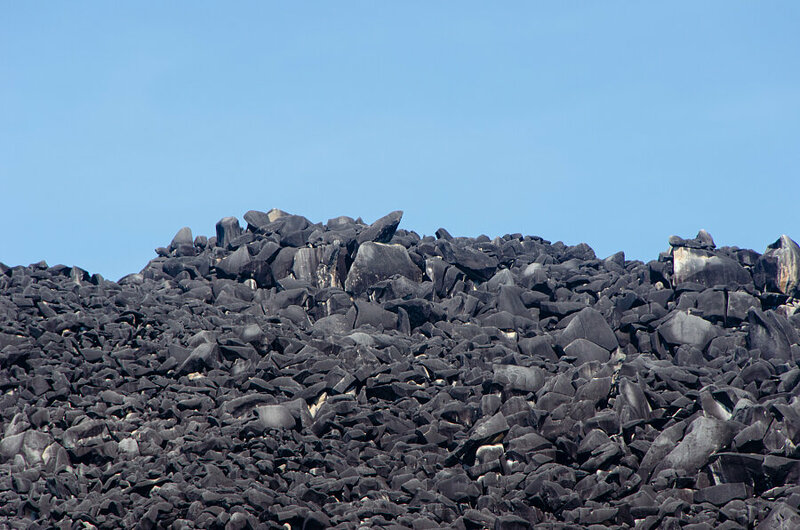 It looks like the largest pile of black boulders you have ever seen. There are panels explaining how the Black Mountain was formed at the pull-in beside the road. If you have the time, take the turn-off on the right to Archer Point, about 7km past Black Mountain. The road is usually well maintained but it is gravel and takes about 15-20 minutes to get to Archer Point. 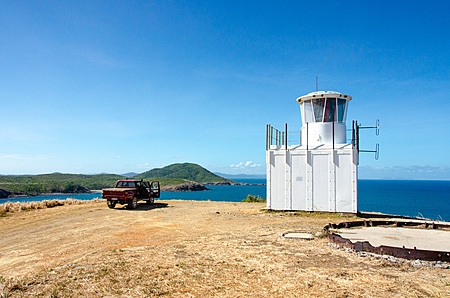 The view from the lighthouse at the end of the road is spectacular. 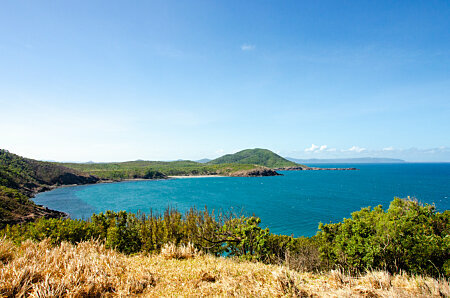 You can see Cape Bedford (beyond Cooktown) in the north and as far as Thomas Point to the south. It can be very windy by the lighthouse so hold on to your door and hat when you get out of your car. This a wild and beautiful stretch of coastline. The beach is fairly rocky but the snorkelling is very good. 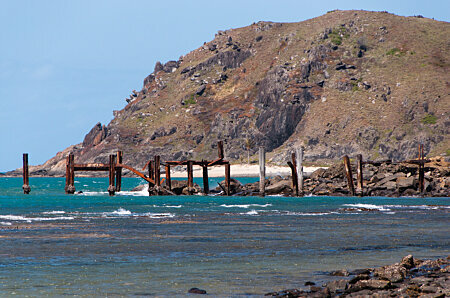 The ruined jetty was built in the 1970s to ship Sorghum and Maize from Lakeland Downs but it was too exposed to the strong south-easterly wind for easy port handling. 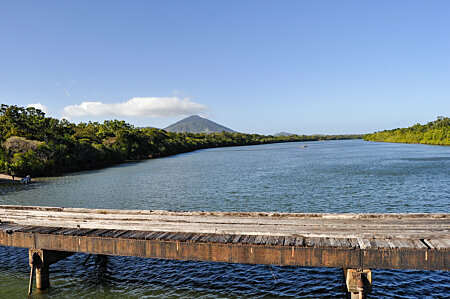 Improvements to the inland road to Lakeland ended the use of the Archer Point jetty. The last leg of the journey to Cooktown crosses the Annan River (known as the Big Annan at this point). My neighbour Ralph Watkin, when I lived at Mungumby, re-called fording the river as a young man. The trip on horseback to Cooktown from Helenvale and back again would take 3 days because they had to work with the tide. Ralph's grandmother was the founder of The Lions Den hotel in 1875. Look out for Keating's Lagoon, about ikm past the Big Annan bridge. The best time to visit is early morning for the birds. Next stop Cooktown! Stay at the Hillcrest Guesthouse on Hope St in Cooktown or for a unique experience, book your stay at Mungumby Lodge near the Black Mountain (Helenvale). 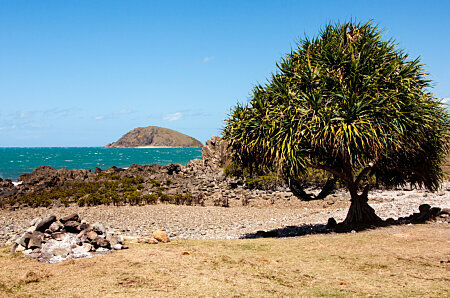 Mungumby is 30 minutes from Cooktown.